Often times in photography, the image that you capture isn't quite as exciting as what you had in mind. Beyond the subtle tone or cropping changes you can make in Preview or iPhoto, try adding a more unusual effect to give an image a whole new look. These three applications offer inexpensive ways to turn bland photos into cool creations. Applying a tilt-shift effect to a digital photo can accomplish two things: It can make objects in the photo appear to be miniature, and it can simulate shallow depth-of-field. The TiltShiftFocus application allows you to selectively keep an area of your photo in focus, while blurring the rest. You can select one of four ways to apply the focus and blur: linear, bi-linear, circular, and freehand. Each method keeps the selected area in focus, while blurring the rest. Depending on the size of the focus area and the degree of blur added (which is adjusted by a slider control), you can subtly draw attention to part of the photo, or dramatically alter its entire look. Keeping a linear focus in the center of a photo taken from afar can give the subjects a miniature, toy-like quality, while adding a little focus and blur to a close-up shot makes the subject appear to have a shallow depth-of-field. The TiltShiftFocus application can also add vignetting, tweak contrast, and convert an image to black and white. Have you ever taken a photo outdoors, only to discover afterward that the dark or bright areas don't show all the detail you expected? Maybe the blue sky and clouds appear a washed-out white, or an object in the foreground is just a dark mass. Digital photos with a wide dynamic range—a combination of bright areas and dark areas—are prone to this problem. HDR photography combines multiple exposures to create a single image that shows a wider range of detail. 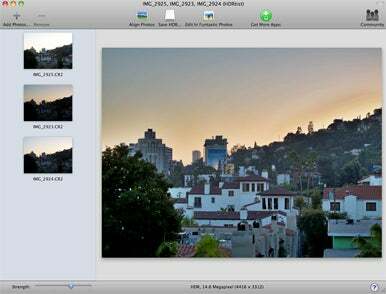 Ohanaware's free HDRtist software creates HDR photos from your images in a few clicks. To create a true HDR photo, you need to take the same image at multiple exposures, either by using your camera's Auto-bracketing feature or by adjusting the exposure compensation manually (a tripod is also recommended to keep each shot consistently framed). Drag your images to the HDRtist window, and slide the Strength bar on the bottom to adjust the look of the image. Less strength will lightly pull out details on the high and low end of the image's dynamic range—details will appear in previously dark areas, and bright sections of sky will show more color range. The further to the right you push the Strength slider, the more dramatic the changes will look. HDRtist also has a Pseudo HDR mode that will allow you to replicate an HDR look from a single image. The level of adjustment control won't be as great with one image, but you can still get a solid result. There is other HDR software on the market, such as HDRsoft's Photomatix (price ranges from $40 to $120) that give a finer level of control over HDR photos. 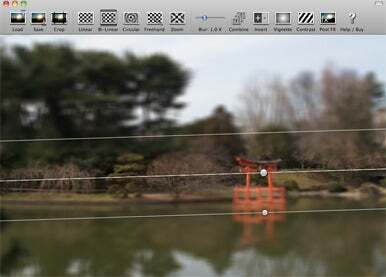 But for a simple and fast way to get more detail out of a shot, HDRtist may be all you need. To paraphrase the compliment, "That photo's so good it belongs in a museum." With Apparent's ImageFramer you'll be that much closer. Using this app to add a realistic looking frame to a special photo can be a fun way to make it stand out. 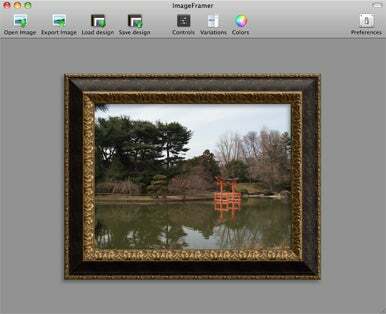 To use ImageFramer, drag your image to the main window, and choose the frame, matte, and colors you like. There are over one hundred different styles, ranging from playful designs for kids, to brushed metals and ornate wood-carved frames. Every detail of the frame—width, color, mats, shadows, and more—can be customized. When you create a combination that you really like, you can save it as a preset to use again in the future. ImageFramer also allows you to add your own personal watermark for a final personalized touch. Not every photo you take is going to belong in one of these virtual frames. But when you feel like doing a little something different with a photo, ImageFramer provides a lot of fun options.